Six months ago, Hurricane Maria ripped through Puerto Rico with winds up to 175 miles per hour. The storm upended Soleil's life. Fortunately, another Maria was there to help her get back on her feet. When the hurricane hit in September of 2017, Soleil and her husband Juan lost everything, including their jobs. It looked like Puerto Rico might take months to recover, and they were right—as hundreds of thousands are still without power there even now. In November, Soleil's friend Maria, who lives in Des Moines, invited her to move to central Iowa to start fresh. After a lot of thought, Soleil and Juan made the difficult decision to move with their two young children. As the family settled in, they worried about countless challenges, including taxes. Soleil and Juan had been told they couldn't use their W-2 from Puerto Rico, and they didn't know what they were going to do. If your household earned less than $66,000 in 2017, you can file both your federal and state returns for free using MyFreeTaxes.com. This is the only free, national, online tax filing product offered by a nonprofit. It’s H&R Block’s Premium tax prep product, 100% accuracy guaranteed. Free federal and state filing (up to 3 states) are included. More forms are included than with any other free product. You can file easily either on desktop or mobile. Chat, phone, and email assistance from tax professionals is included. 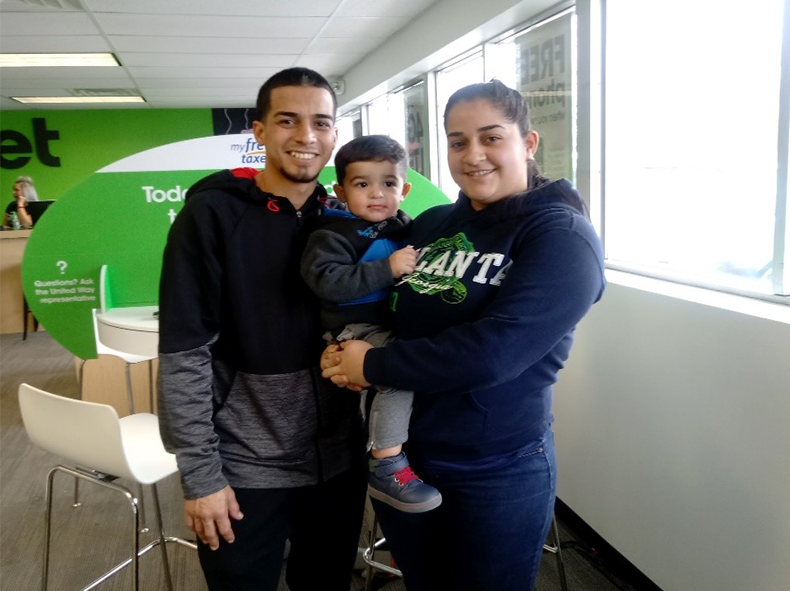 Soleil's friend Maria works at Cricket Wireless in Des Moines—one of the locations where people could come to sign up for MyFreeTaxes. The service is a collaboration between United Way and H&R Block to offer free online tax filing to any household that made $66,000 or less in 2017. Maria invited Soleil and Juan to come to the store to try it out. Soleil was skeptical at first, but she agreed. Using the MyFreeTaxes chat line, which has Spanish service, they learned to their relief that they could use their Puerto Rican W-2. Soleil says she found MyFreeTaxes easy to use, and she was especially happy to find support in Spanish. With their tax refund, the family plans to buy much-needed furniture for their new apartment, pay bills, and send some money to help family back in Puerto Rico who are still recovering from the hurricane.